"Emerson may not be a scholar, and he may sometimes connect unrelated dots. He may also occasionally be quite wrong. But he is an investigator who has performed a genuine service by focusing on radical Islamic groups in this country. His information should be taken seriously--just not at face value. 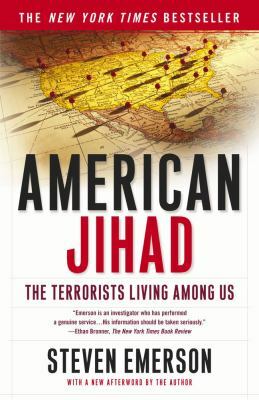 "Emerson, Steven is the author of 'American Jihad The Terrorists Living Among Us', published 2003 under ISBN 9780743234351 and ISBN 0743234359.